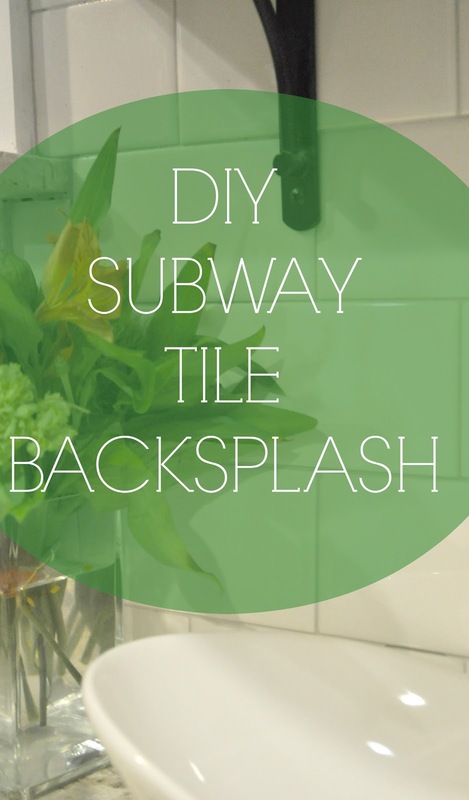 DIY Subway Tile Backsplash Reveal!!! Hey guys and happy reveal day! 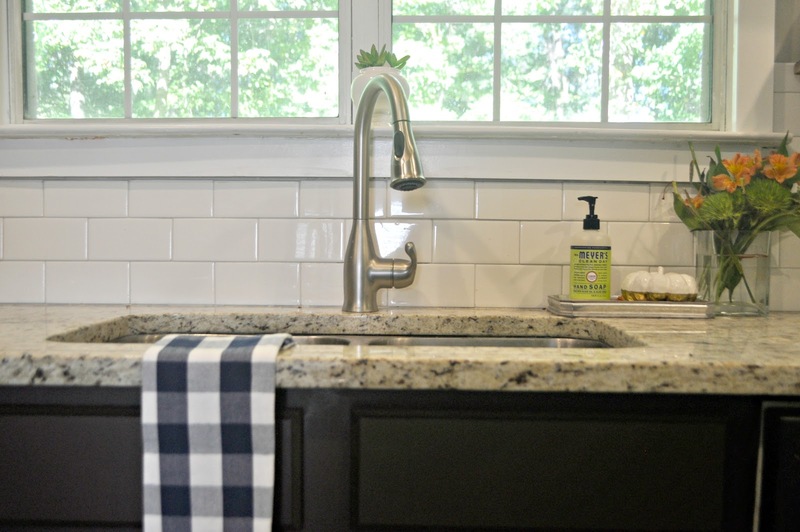 So if you have followed along for a while, then you know that I have been working on my kitchen for the last few months with some updates to our backsplash, lighting, new countertop, and flooring. To see more about my plans, click here. So I would have to say that the kitchen is about 98% done! So close! 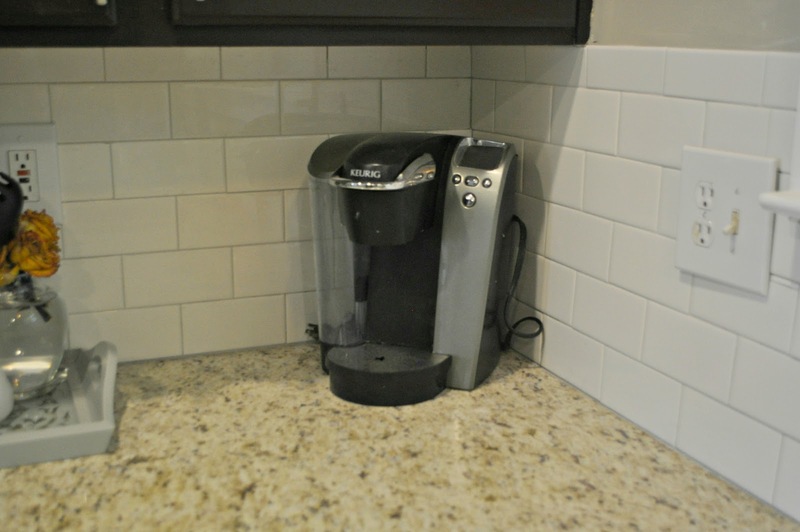 But in the meantime, I wanted to share my backsplash reveal with you guys. It was definitely a labor of love, but I would not trade the experience and the outcome for anything. 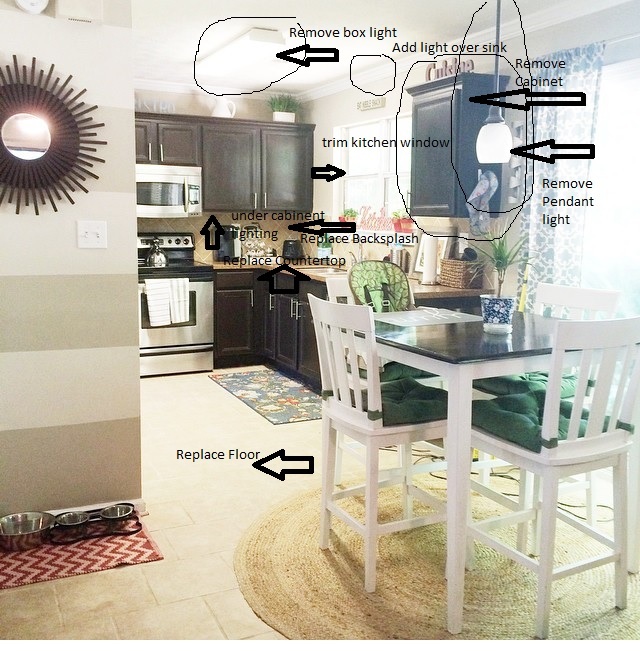 FYI, I kept the photos pretty tight in range because I didn’t want to reveal too much of the kitchen just yet! 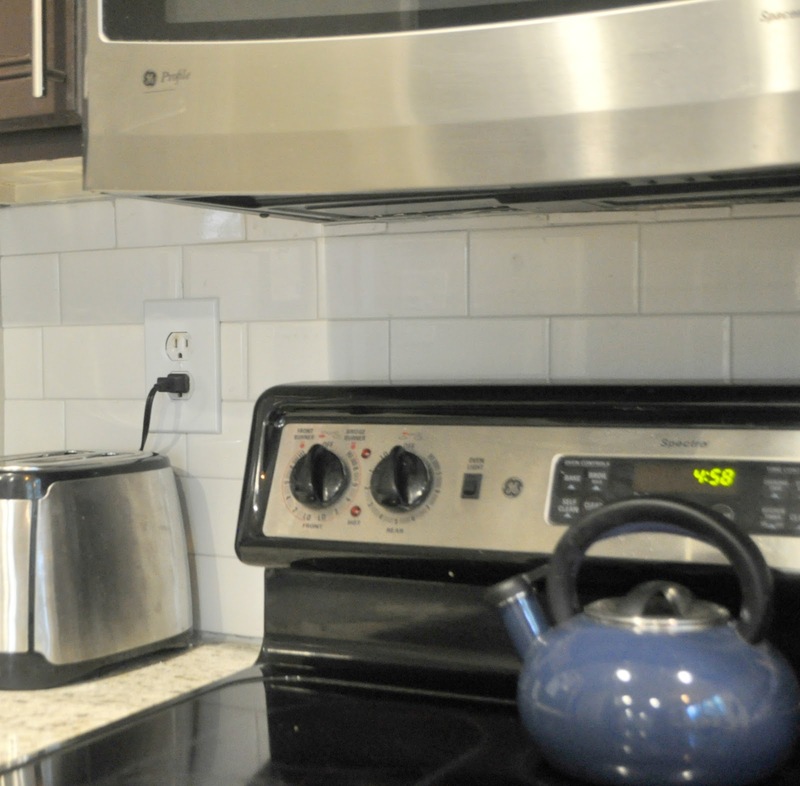 The original backsplash was a ceramic square tile that we had laid in a diamond pattern. 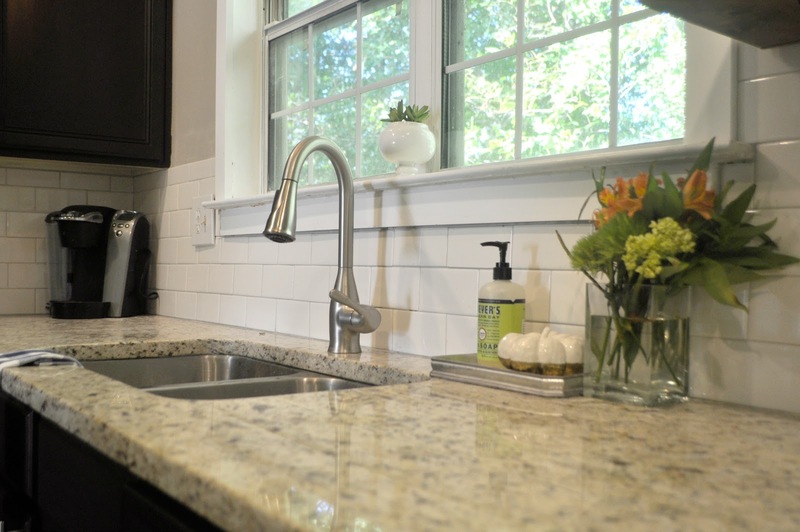 I went with something that flowed with the original countertop. Although from day one, I knew that I wanted to replace it. The old counter and tile made the kitchen feel so dark. 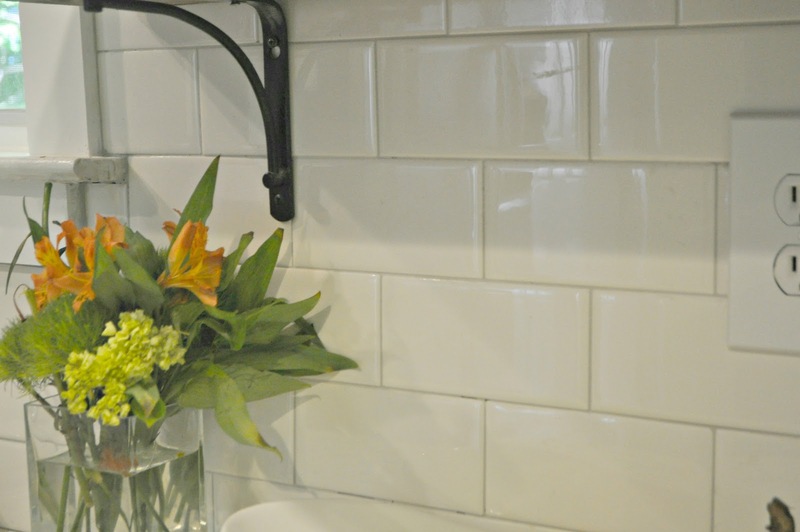 But am so glad that we went with something simple and bright as the white subway tile. I will be back on Thursday with a full video tutorial on how you can install this tile yourself. I promise you that its not as difficult as you think. I did everything myself, but the cuts, which I let my husband handle on the wet saw. To see my tutorial, click here! oh my!!! What a difference! Erin, this is so cute, I love it. I really want some now! Can't wait to see your video tutorial! 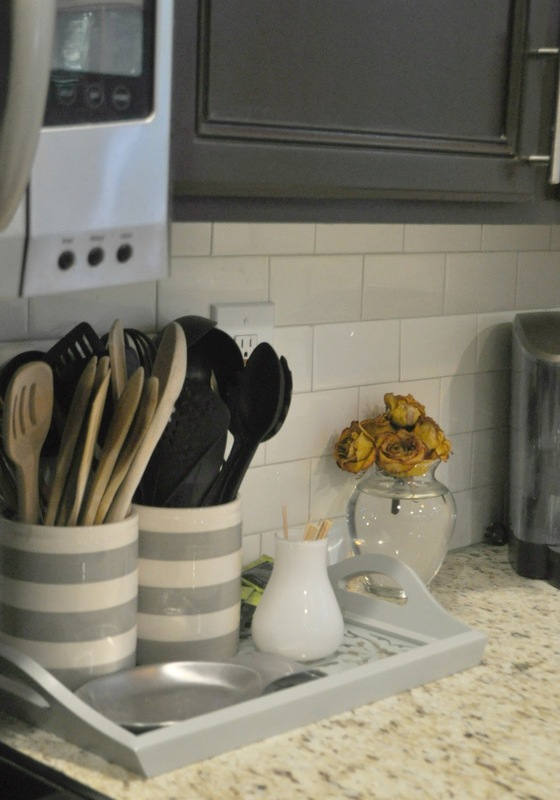 Keep up the great work, and looking forward to the full kitchen reveal! Oh Erin, I love it soooo much, it looks so good! You did such a good job! Such a beautiful transformation! The new backsplash really brightened up your kitchen. It looks so good! Congratulations on doing it yourself!! 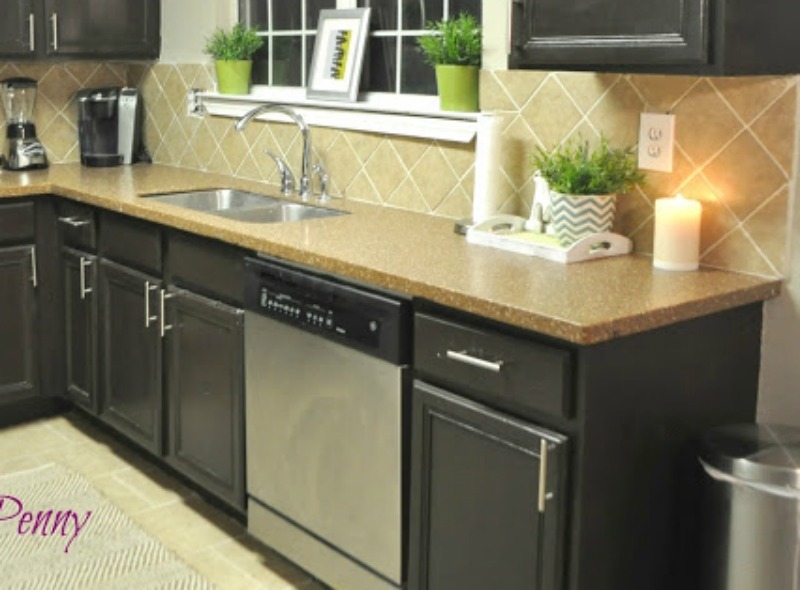 Wow Erin the subway tile is such a nice change! You did a great job! Wow, Erin! The tile looks great. 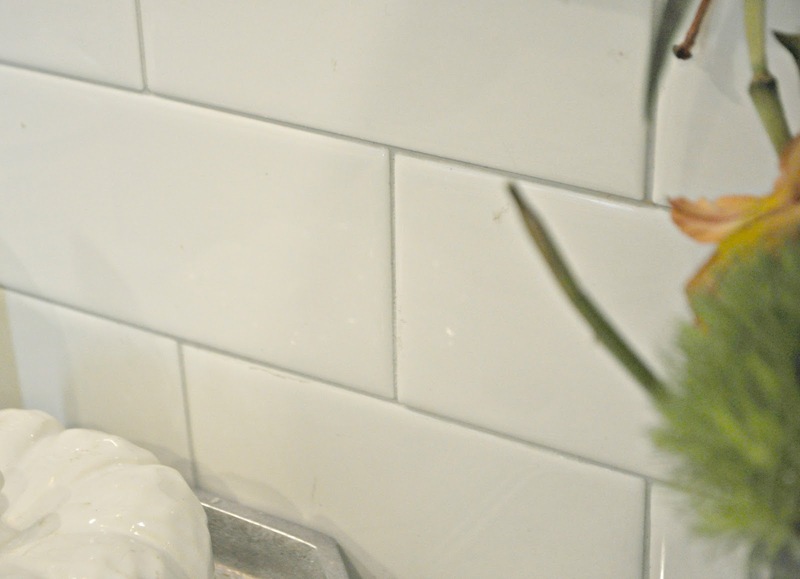 I love subway tile. Can't wait to see the video tutorial!